read our blog . . . 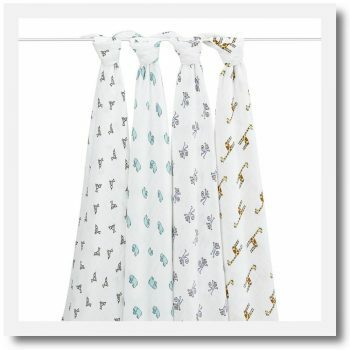 This luxurious Scandinavian inspired baby blanket is perfect for little ones to snuggle up in. In soft brushed cotton, this this eco-friendly blanket is gentle on skin. 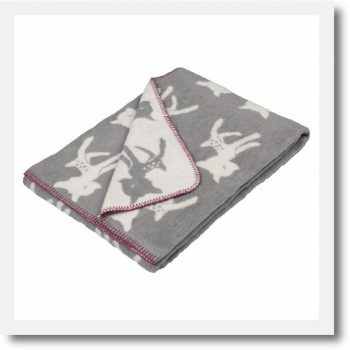 It features an enchanting Bambi print in light grey with a white contrast and grey sewn edging. It comes beautifully gift boxed with ribbon, making it the perfect new baby gift. 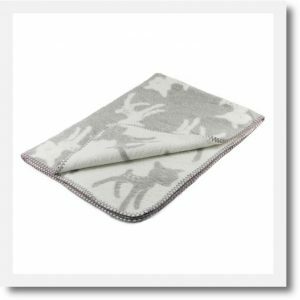 The sumptuous Bambi cotton organic baby blanket in grey is perfect for little ones to snuggle up in. 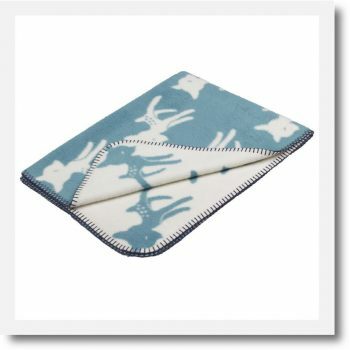 Made by Scandinavian designers Fab Goose this enchanting unisex baby blanket features a reversible Bambi print. In soft grey with a white contrast and grey sewn edging. 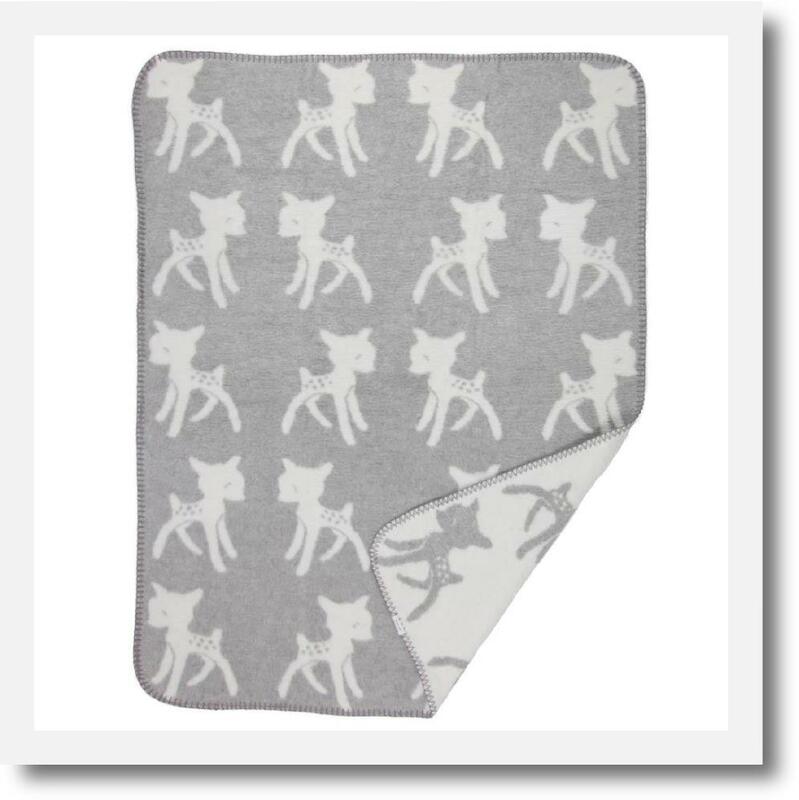 It makes a stylish comforter and pram blanket or playmat. Made from soft brushed (GOTS certified) eco-friendly organic cotton it’s gentle on delicate skin and therefore re-assuringly safe for little ones. 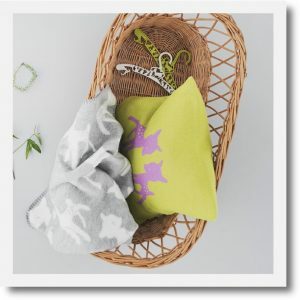 Larger than most this delightful organic baby blanket comes gift boxed with ribbon which makes it the perfect gift for a new baby or a toddler. Plus, with it’s expressive design and luxury quality it’s sure to beomes a firm family favourite that will be treasured for years to come. It’s super soft and available in lots of colours. So, whether you’re looking for a boy or girl blanket or a unisex baby blanket, there’s sure to be something that will delight! 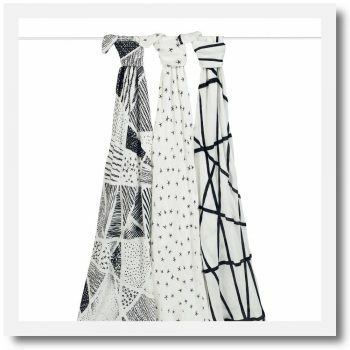 Check out the full range from Fabulous Goose.